20 ml(D27.5 X H57),40 mL(D27.5 X H95) , DN24 mm. Color: Clear or amber glass. 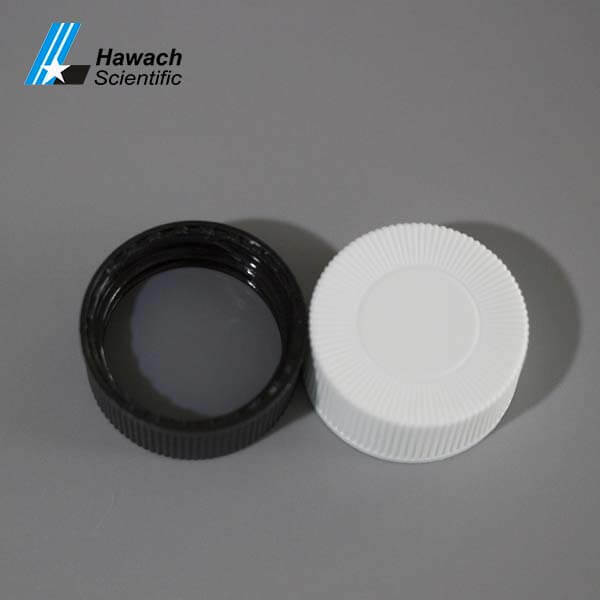 Screw thread top with Clear and Amber Borosilicate glass. 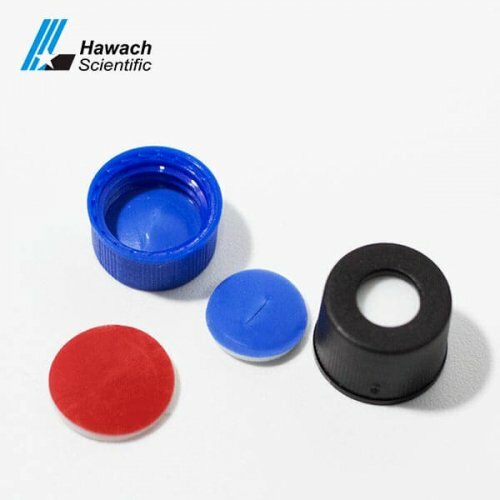 Caps are lined with PTFE/silicone for excellent sealability and chemical resistance. Ideal for general laboratory use and storage of samples. 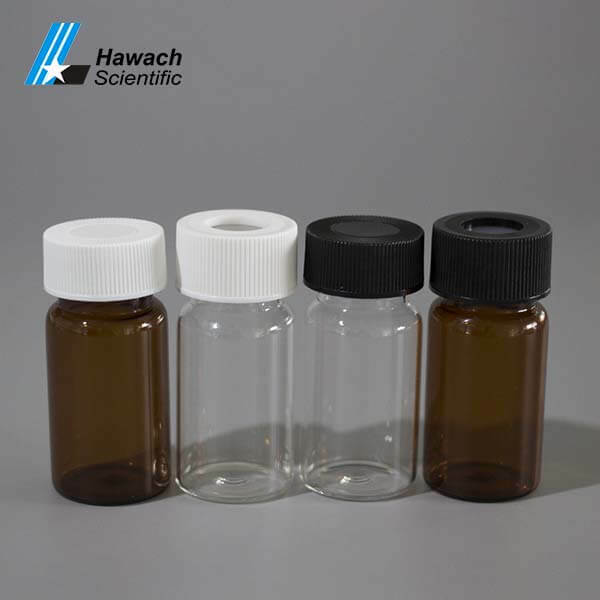 Storage Vials ideal for general laboratory use and storage of sample. 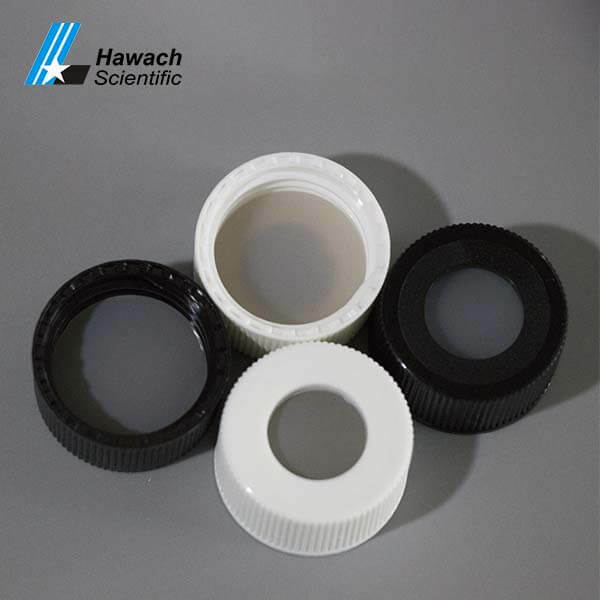 Store your samples in Storage Vials to eliminate leaching of ions while maintaining a consistent pH for the life of your sample. 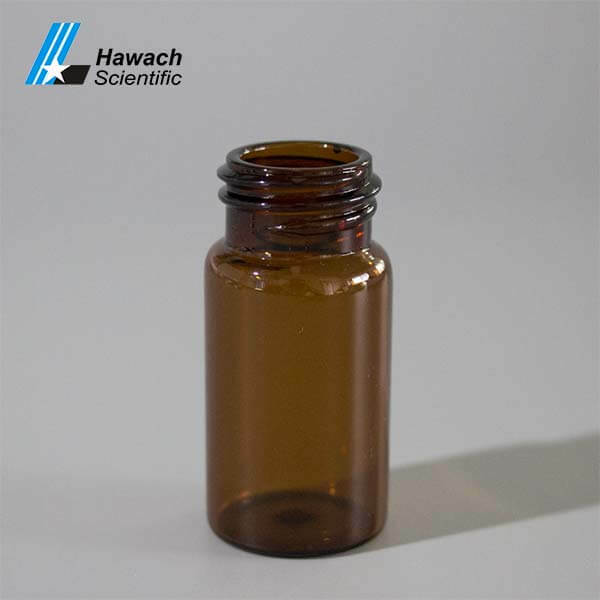 Hawach Scientific Storage Screw Thread Vials are manufactured from superior quality USP1 expansion borosilicate clear or amber glass. 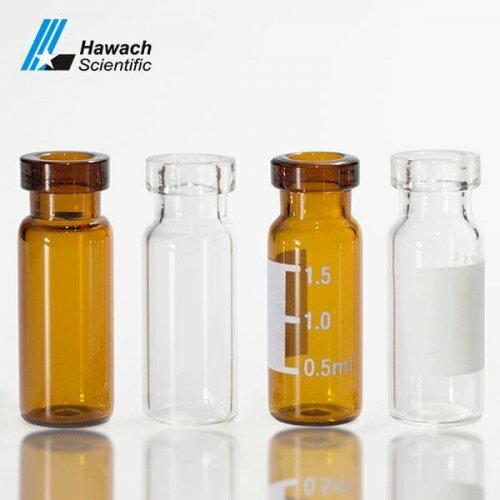 For 10/20ml storage vials, it has 18mm and 24-400 GPI thread top caps. 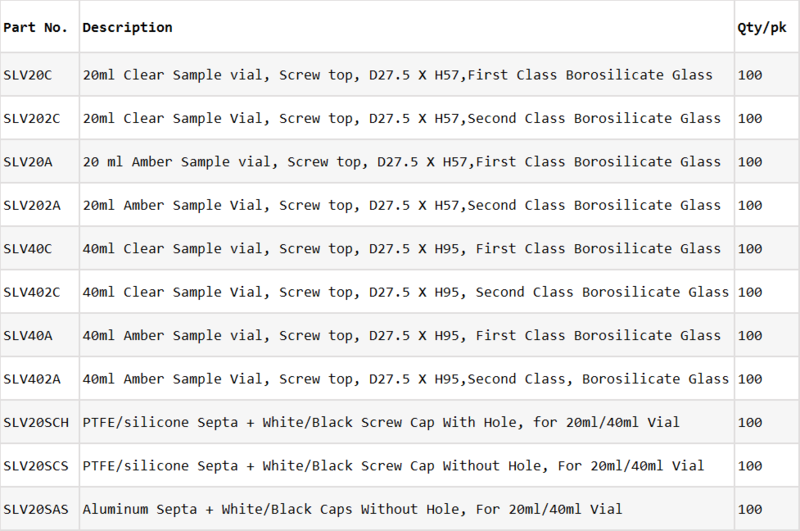 Mainly applied to store laboratory samples.